But when we stopped at Koenig Vineyards, I – along with the other wine-focused writer on the trip – was able to get a few extra minutes to talk with owner-winemaker Greg Koenig. He brought out a couple additional wines for us to taste as we talked about the opportunities and perils of Idaho viticulture, the realities of the local wine market and what it means to him that he’s built his winery in his home state. Koenig is the kind of winemaker I appreciate and enjoy talking to and learning from. Earnest in his approach both in the vineyard and the cellar, there isn’t any of the hyperbole or nonsense you often find in the wine business. 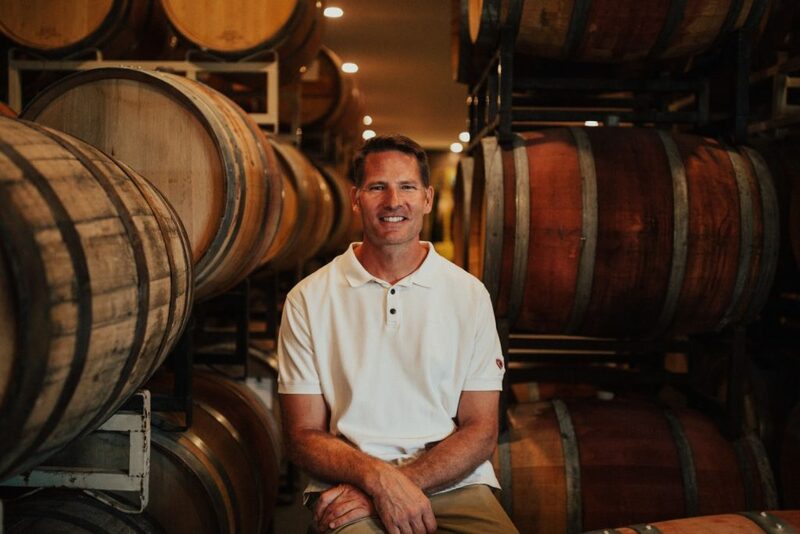 He’s clearly passionate about wine – and Idaho wine in particular – and has worked hard to elevate not only his own portfolio, but the region as a whole. He continues to work hard and while proud of his work, I get the sense that he knows there is even more potential to be realized. When Idaho wine begins to get more attention across the country, I suspect Koenig will be at the fore – and that’s why he is a true tastemaker. Before I Became a Winemaker: I grew up in a ski resort town (Sun Valley, ID) where my family owned and operated a small European-style hotel. My dad was from Austria and my mom from Idaho. Food and wine and hospitality – and all the hard work of a small business – were who we were and what we all did. I loved building and architecture, too, so I studied architecture and got a degree in 1994 from Notre Dame. After college, I had a great job for a firm in Sun Valley, but began to study how wine was made in my spare time, and soon found myself making small lots in the garage. A year later, I was fully hooked when I discovered the Sunnyslope region and the burgeoning industry. In November 1995, I bonded Koenig Vineyards, with not much more than and idea and a few barrels. But I was hooked. As much as I loved architecture, I loved the seasons of the vineyard work and the seasons of the winery. It was a far cry from being chained to a drafting table! How I Ended Up Where I am Today: The early years were very difficult. At that time, no one really took Idaho wine very seriously, and there were just a few producers making mostly white wines. Most of the red wines at the time weren’t really that great, so it was an uphill battle to get anyone to list a local wine on a list, or sell them in their shops. A few of us had a notion that our climate was actually quite good for reds, so we started looking at what Washington was doing and began to re-imagine how red grapes are grown in the Northwest using new ideas like vertical trellises, deficit irrigati, n and canopy management. Around 1999 and 2000 everything changed for the better with some new red bottlings that were rich, structured and varietally correct. It was a watershed moment, and in the next few years, a new generation of wineries would open in Idaho (when I started there were only 7). Our focus on small production, quality-first, and organic growth through our little tasting room started to pay off as consumers interested in the new wines from the area came out to have a look and tell their friends. I am horrible at marketing, so we knew that in order to keep pushing forward, our focus would continue to be on quality products and a great experience for visitors and wine club members. In 2009, I built a larger production facility to take on additional custom crush clients (who helped pay the bills for better equipment and winemaking), and by 2016 felt like the interest in Idaho wine had grown to the point where a new, large tasting facility would be a good step. Distribution outside Idaho remains a challenge, so doubling down on the tasting room experience has paid off. Over the years visitors from Taiwan, China, Denmark and New York have all helped lead to distribution in those places…. something we would never had dreamed possible in the days when even local restaurateur friends were reluctant to list our wines. Our production is still relatively small (5,000 cases a year or so), and ideally it will stay that way, or grow just slightly as new quality vineyards allow for it. What I’m Drinking Right Now: During harvest, German or Austrian beer is my favorite – like Spaten or Fohrenburger. I spend all day up to my ears in grapes and fermentations, so wine generally takes a backseat until November. The First Bottle of Wine I Remember Drinking: My parents always had wine at the table, so I don’t remember any specific bottle until I graduated college and we celebrated with family and classmates over dinner with a bottle of Robert Mondavi Cabernet. It was amazing … much more complex than I had ever remembered wine being. I started to pay attention! My Winemaking Style: I think that too often people give winemakers credit for a wine’s success – that belongs to the vineyards and the winegrowers. As a winemaker I try to not get in the way. We work really hard in the vineyards, and then let the best grapes do their thing. The one exception to that is that I love oak in red wine, and spend a lot of time aging wines in various cooperages, which I find fascinating. I also tend to pick a little later and at higher ripeness levels than many of my peers, hoping to get the most our of our high-altitude sun and cool nights here in Idaho. My goals are crisp, dry whites with little or no oak, and big, rich reds with layers of flavors. Viognier and Syrah are my favorite grapes to work with – they both love our soils and climate, and produce wines in a style that I love to make. My Mentors — Wine and Otherwise: Bill Stowe of Indian Creek Winery gave me my start… he let me work harvest with him for a couple of years in the beginning, and I learned so much from him about wine, about tenacity, about character. Winemaking textbooks and college courses abound, but he taught all the good stuff: nuts and bolts and perseverance. Our Favorite Thing About the Idaho Wine Industry: Our industry is still small and friendly – all of the growers and winemakers continue to share knowledge and equipment and encouragement, much like when I started. We are all on the same page, trying to move the industry forward and share what we have discovered with people new to Idaho wine. It’s a lovely and old-fashioned atmosphere – one that I hope will continue as the industry grows. What We Wish Was Different About Idaho Wine: It would be nice if there were more distribution and availability of Idaho wines outside the state. 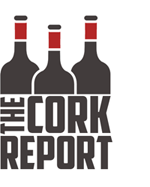 If the industry is to grow, it will be necessary for small wineries to get some sales and much-needed capital from broader distribution. On a Random Thursday Evening, You’ll Find Us Drinking: Wine from the Northwest, or well crafted old-world pilsner. Love your wines, your amazing tasting room, the courtyard, and the view tower! Such a beautifully thought out place. Definitely lets us relax and feel like we’re in a villa in Italy! Your personal story & degree in architecture brings it all together to our benefit. Thank you for your hard work and vision! Do any of the Sunnyslope vintners reuse wine bottles if we should deliver said bottles?